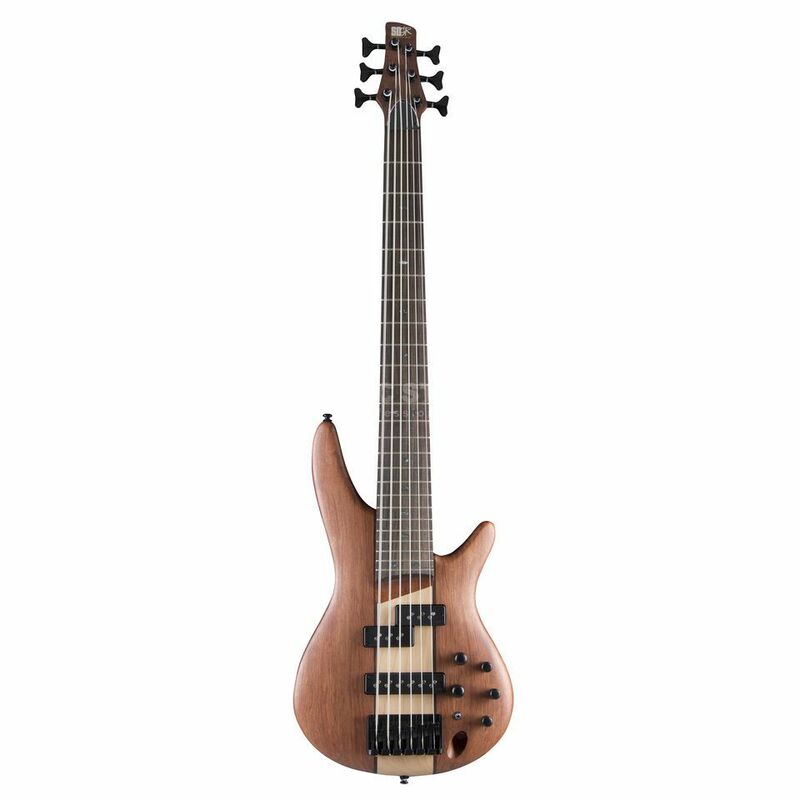 The Ibanez SR756 6-String Bass Guitar in Natural Flat take the classic SR design that is loved by thousands of players worldwide and gives it a subtle dynamic twist thanks to an exciting new pickup configuration. The Ibanez SR756 features a Mahogany body with a figured Bubinga, a combination that changes the tonal properties of the bass at the same time as allowing it to stand out among its SR-shaped sisters. The body is joined by a five-piece Jatoba and Bubinga neck that features the easy to play SR6 shape that has made the range so popular. This is topped by a 24-fret Rosewood fingerboard that is fitted with easy-to-see oval Abalone inlays. In a departure to the SR-norm, the Ibanez SR756 is equipped with a set of Norstrand CND P/J pickups – a split single coil P-style model at the neck and a fat J-style single coil ant the bridge. These are joined by a newly developed Ibanez Custom Electronics three-band EQ that features an EQ bypass switch that allows for active or passive operation. This setup means that an incredibly diverse range of tones that cover everything from blues and classic rock to modern metal and pop are all easily achievable.